While recreational cannabis is being touted as a potentially multi-billion-dollar industry, its cost to the environment is proving to be anything but green. Canada’s licensed producers are constantly on the lookout for ways to save on production costs, and energy is one major obstacle they’re forced to contend with. However, with some of the country’s licensed producers building massive record-breaking cannabis production facilities across the country, the question becomes whether cannabis energy can be affordable and sustainable? The problem with this is that there is no agreed upon “best” way to cultivate cannabis. Traditional illegal grow operations rely on hiding themselves in basements or secluded houses where their presence can be hidden from neighbours, energy providers, and law enforcement. Sutton is one of an emerging group of business leaders looking to incorporate cleaner technology into Canadian cannabis production as a means of reducing energy costs and applying modern farming techniques to the craft of growing cannabis. His BC-based company uses predominantly sunlight in greenhouses to cultivate their product. “It’s really been core to our whole philosophy, since its inception. 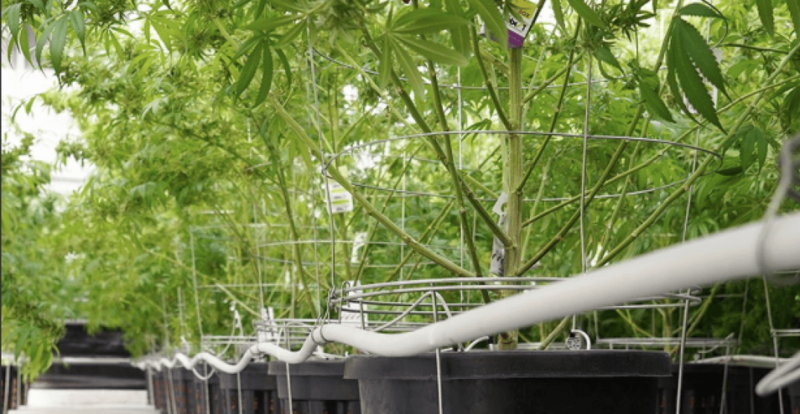 Since we started conceptualizing cannabis in a greenhouse, it was really this intersection between creating a quality plant output, a quality environment for the plant to thrive, and a drastic reduction in energy usage,” Sutton said. The technology needed to grow potent cannabis indoors is constantly evolving, but many companies still favour enclosed, artificial light-driven systems. The energy required by the lights is intense. The energy requirements are increasingly becoming an issue for regions where cannabis is sold recreationally. Denver, Colorado, a city that has committed to a large reduction in greenhouse gas production, is grappling with this exact problem. Denver’s Department of Public Health and Environment released a guide of “Best Practices,” for cannabis environment management, much of it dedicated to energy management and systems. commercial marijuana growers to either offset electricity use with renewable energy or pay a 2.16-cent charge per kWh.” Proceeds help fund initiatives to educate cannabis growers on offsetting their energy costs. In Canada, producers like Sutton believe the most sustainable balance is in large industrial greenhouses. “When I grow a kilo of cannabis in California it contributes to 46,000 kg of carbon emissions, so this isn’t just a bit energy, its one of the most energy-intensive productions industries on earth. Greenhouse growing reduces energy demand when compared to exclusively indoor operations, but not just because of the lighting. The infrastructure required to deal with the intense heat generated by the bulbs is also an added expense. “You don’t need to cool in the same way, you can use natural airflow and fans to distribute air and even if you’re using supplemental lighting, which is totally necessary in this part of the world, 90 – 95% of the light that hits that cannabis plant is coming from the sun.